Now that answering complex and compelling questions with data can make the difference in an election or a business model, data science is an attractive discipline. But how can you learn this wide-ranging, interdisciplinary field? With this book, you’ll get material from Columbia University’s "Introduction to Data Science" class in an easy-to-follow format. Each chapter-long lecture features a guest data scientist from a prominent company such as Google, Microsoft, or eBay teaching new algorithms, methods, or models by sharing case studies and actual code they use. You’ll learn what’s involved in the lives of data scientists and be able to use the techniques they present. 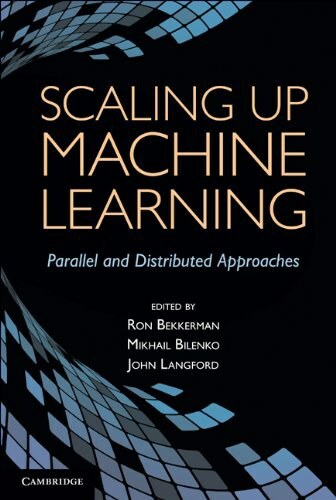 If you’re familiar with linear algebra, probability and statistics, and have some programming experience, this book will get you started with data science. Doing Data Science is collaboration between course instructor Rachel Schutt (also employed by Google) and data science consultant Cathy O’Neil (former quantitative analyst for D.E. Shaw) who attended and blogged about the course. Cathy O’Neil earned a Ph.D. in math from Harvard, was postdoc at the MIT math department, and a professor at Barnard College where she published a number of research papers in arithmetic algebraic geometry. She then chucked it and switched over to the private sector. She worked as a quant for the hedge fund D.E. Shaw in the middle of the credit crisis, and then for RiskMetrics, a risk software company that assesses risk for the holdings of hedge funds and banks. She is currently a data scientist on the New York start-up scene, writes a blog at mathbabe.org, and is involved with Occupy Wall Street. Rachel Schutt is a Senior Research Scientist at Johnson Research Labs, and most recently was a Senior Statistician at Google Research in the New York office. She is also an adjunct assistant professor in the Department of Statistics at Columbia University where she taught Introduction to Data Science. She earned a PhD from Columbia University in statistics, and masters degrees in mathematics and operations research from the Courant Institute and Stanford University, respectively. Her statistical research interests include modeling and analyzing social networks, epidemiology, hierarchical modeling and Bayesian statistics. Her education-related research interests include curriculum design. Rachel enjoys designing and creating complex, thought-provoking situations for other people. She won the Howard Levene Outstanding Teaching Award at Columbia and also taught probability and statistics at Cooper Union, and remedial math as a high school teacher in San Jose, CA. She was a mathematics curriculum expert for the Princeton Review, and won a game design award for best family game at the Come Out and Play Festival in New York. 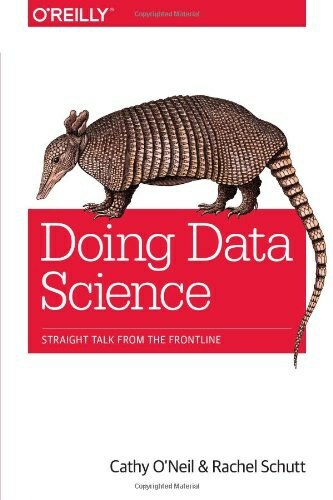 "Data scientists should become problem solvers and question askers, to think deeply about appropriate design and process, and to use data responsibly and make the world better, not worse. " Data doesn't speak for itself.Data is just a quantitative,pale echo of the events of our society. Being humanist in the context of data science means recognizing the role your own humanity plays in building models and algorithms, thinking about qualities you have as a human that a computer does not have (which includes the ability to make ethical decisions), and thinking about the humans whose lives you are impacting when you unleash a model onto the world. BTW, the supplemental reading list can be a good source or map of the subject.